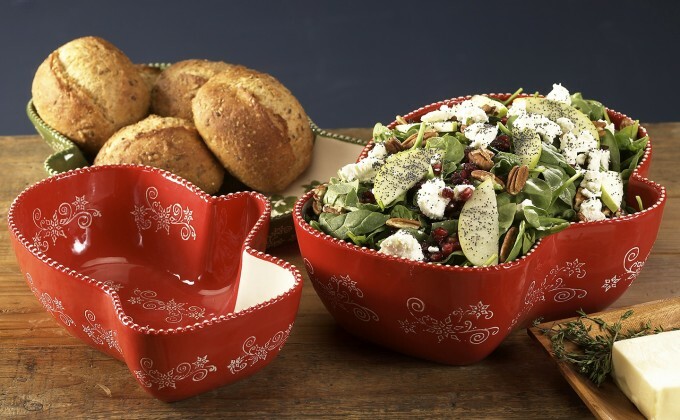 For the salad, place the spinach and lettuce in your 3 quart temp-tations® mitten bowl. Top with apple slices, pecans, pomegranate seeds, cranberries and goat cheese. For the dressing, place the olive oil, vinegar, lemon juice and sugar in a blender. Blend until smooth. Drizzle over salad and toss to combine. Serve immediately.